Is there a cost effective way to protect liquor, spirits, and other alcoholic beverages? Alpha High Theft Solutions has just the right product for low cost liquor, wine, and spirit protection that goes beyond bottle cap protection. In some cases, Loss Prevention Systems have customers that utilize Crystal Guard and EASy Guard but may not need that particular product for every item they wish to protect. This is where the Steel Grip comes in. This product is designed to fit around the neck of a bottle and lock securely in place. Although Steel Grip does not provide product denial, the built in AM or RF tag is still effective in the protection of the merchandise in the store. The Steel Grip is designed to work in tandem with your Electronic Article Surveillance (E.A.S) system to ensure that the alarm sounds if an item is removed from the premises. Loss Prevention Systems has found that the products offered by competitors typically use cheap materials that allow them to be tampered with easily. Steel Grip incorporates a strong metal strap encased in plastic for maximum protection in a small streamline profile. It also has no effect on your shelving heights since it is used around the neck of the bottle. Steel Grip comes with the word “alarm” printed on it, which helps provide a visual deterrent to shoplifters. It can also be removed easily by utilizing an Alpha S3 key with just one hand. Amusingly, there are other uses for the Steel Grip. Laundry care products such as Febreze, Tide, and other similar products can also be protected. Auto Care products and other products that are sold in bottles that have a longer necked bottle can also be protected. Chances are that if a shoplifter attempts to remove the Steel Grip from this product, it will most likely shatter or damage the bottle before it can be removed. Steel Grip is a low cost product that will make an excellent addition to your bottle protection needs. LPSI is considered the highly regarded nationwide seller in the United States regarding Alpha High Theft Products and Checkpoint Systems. We have nationwide sales, supplies, and consulting. LPSI offers more than theft prevention equipment. Our experience with retail loss prevention allows Loss Prevention Systems to supply real world training and strategies. 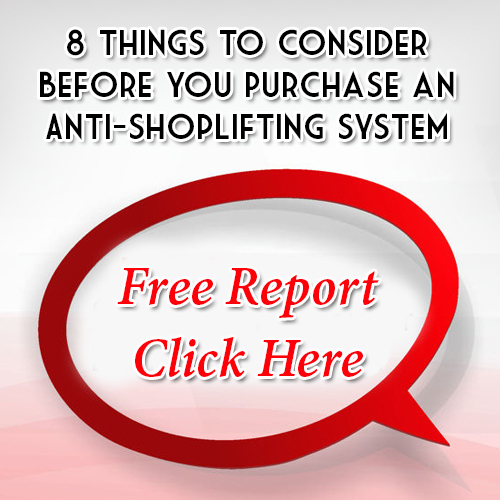 Eliminate shoplifting for good with LPSI (Loss Prevention Systems) and Checkpoint Systems. For additional details on Alpha Bottle Security, call us at 1-866-914-2567 and get the security help you are looking for!